International Women’s Day is celebrated annually around the world on 8 March. To mark the occasion in 2017, Pacific Women support a two-day Women’s Business Forum in Cook Islands. Participants at the Cook Islands Women’s Business Forum. Photo Credit: Cook Islands Ministry of Internal Affairs. The Women’s Business Forum was a collaboration between the Cook Islands Government and local women’s organisations. It was organised by the Cook Islands Ministry of Internal Affairs, the National Council of Women and the Cook Islands Business and Professional Women Association. The two-day event in Rarotonga attracted around 80 women from across Cook Islands including the outer islands of Aitutaki, Atiu and Mitiaro. The forum was designed to provide information to women interested in business and to showcase the successes of Cook Islands’ women entrepreneurs. 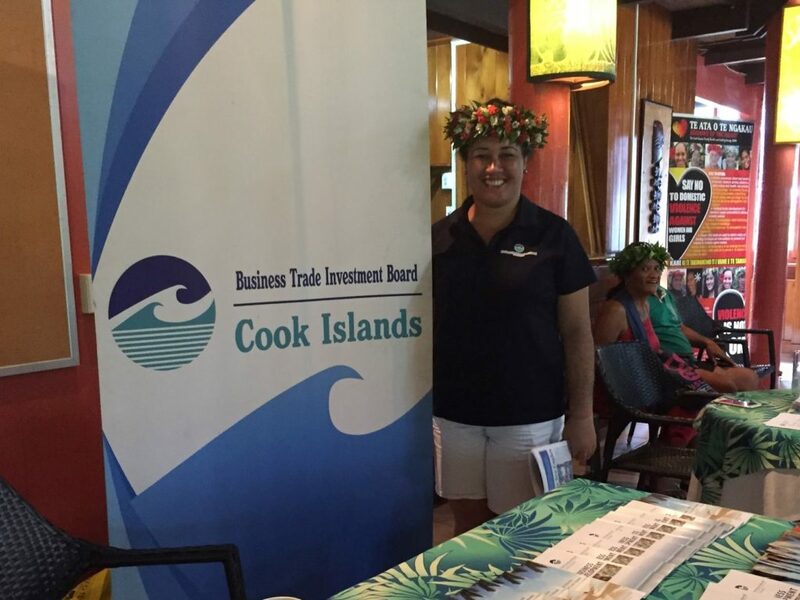 Members of the Cook Island Business and Professional Women Association displayed their products in a trade fair. Participants also learnt about a variety of support services that are available to assist women in establishing a business. The Women’s Business Forum was also an opportunity to explore the barriers women face when participating in business and employment. Women shared their experiences of balancing business with caring responsibilities and the challenges this presents. Other issues raised included the need for better support services for women in business in the outer islands. The Women and Girls with Disabilities organisation also presented a case study on business initiatives.